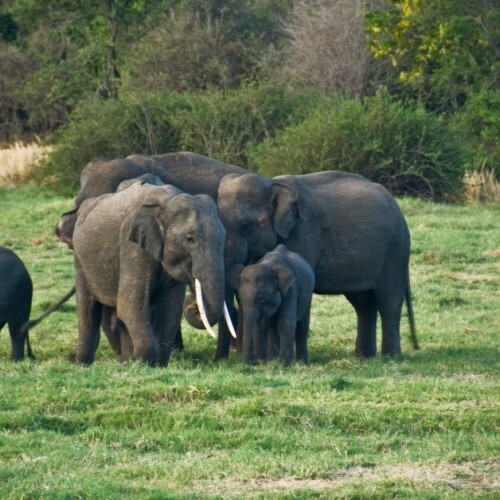 Minneriya and Kaudulla National Parks form an ‘elephant corridor’ for the vast herds roaming the eastern region of the country from Trincomalee through to Wasgamuwa, Maduru Oya and Gal Oya National Parks further south. Minneriya National Park was designated a national park in 1997 and covers 8890 hectares of scrub and light forest, which is dominated by the ancient irrigation tank of Minneriya. The dry season, from June to October, is the best time to visit as the tank has dried up by this time, encouraging grazing animals to venture into the open looking for succulent shoots and grasses exposed by the receding water. The principal attraction of the year is the ‘gathering’ between August and October, when large herds of elephants congregate around Minneriya Lake to seek the last available water at the end of the dry season. 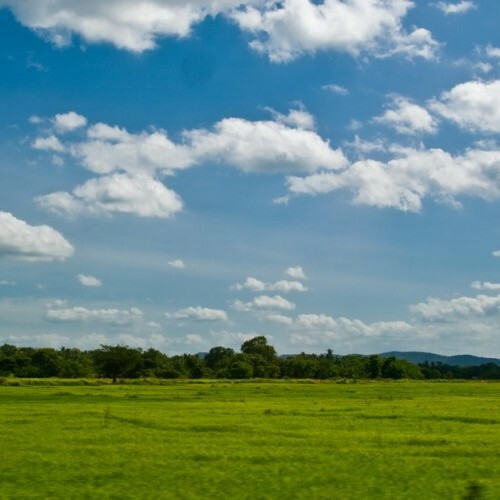 The core of the national park is in an uninhabited area of the country's most diverse natural ecosystems, with intermediate forest, bamboo stands, patanas and talawas. Nowhere else on the island is such diversity represented within a single protected area, particularly in such an intact state. The tank supports a variety of waterfowl, while being of immense socio-economic value. The park is home to a variety of animals such as elephants, leopards, toque macaques, purple faced langurs, sloth bears, sambar and spotted deer, and about 160 bird species, including many endemics. 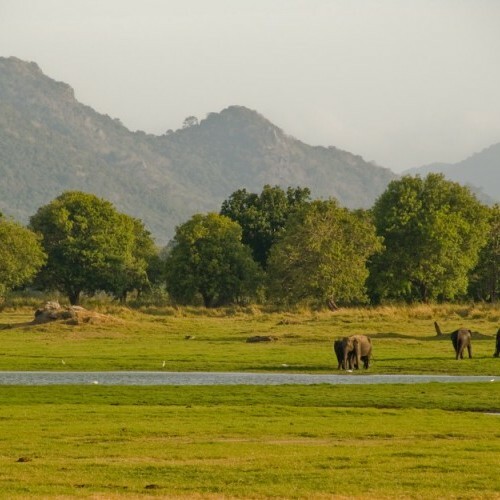 Kaudulla National Park is one of Sri Lanka's newest (opened in 2002) and it has established a 6656-hectare elephant corridor between Somawathiya Chaitiya and Minneriya National Parks. The best time to visit the park is between August and December. 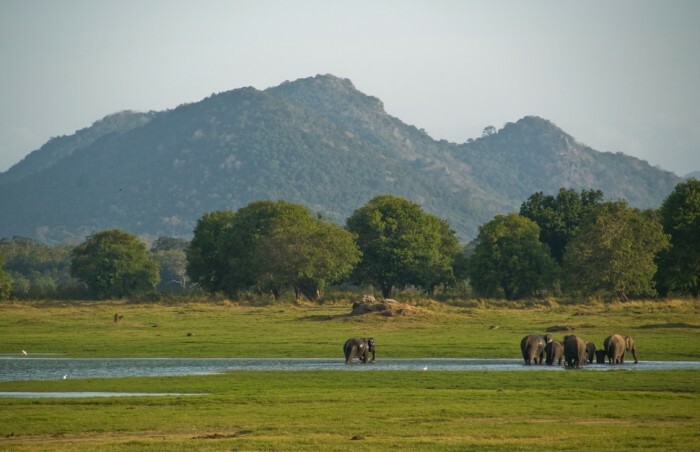 The park is centred on ancient Kaudulla Tank (reservoir) and is home to up to 250 elephants (including herds of juvenile males), leopards, fishing cats, sloth bears, sambar deer, and the endangered rusty spotted cat. Why visit Minneriya/Kaudulla National Parks? 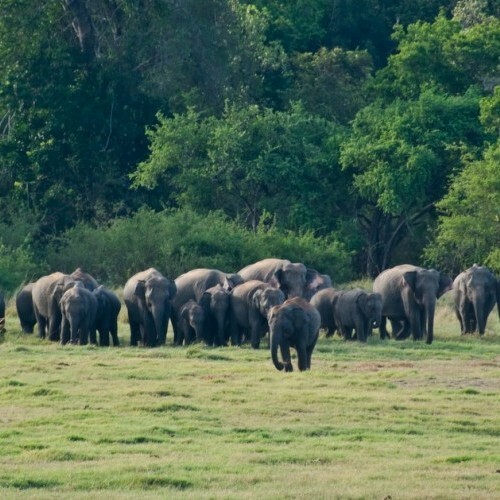 Elephants are synonymous with Sri Lanka and where better to see these majestic pachyderms in large numbers than in one of the island’s natural ‘elephant corridors’. 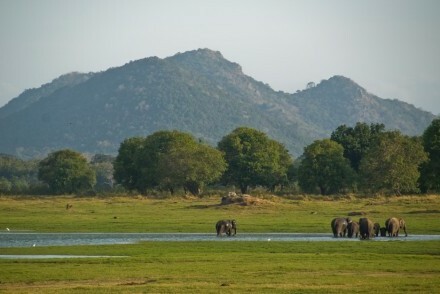 Best of all, between August and October, vast herds of elephants congregate around Minneriya Lake to seek the last available water at the end of the dry season, an event known as the ‘gathering’. 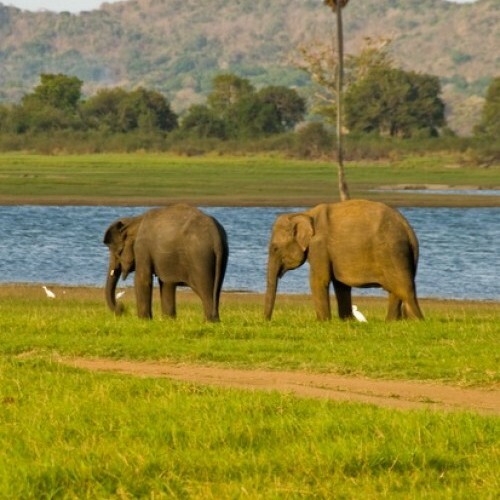 Minneriya and Kaudulla National Parks may be visited on a 3-hour jeep safari from Habarana, Polonnaruwa, Sigiriya or Dambulla. Explore the Cultural Triangle and areas near Minneriya. Open-plan forest lodge built sensitively with its natural surroundings and nestled in ‘jungle’ near a picturesque lake. 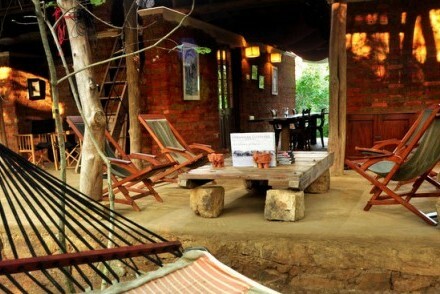 It is a unique property in a stunning setting with an eclectic charm at every turn, an ideal retreat for nature lovers.